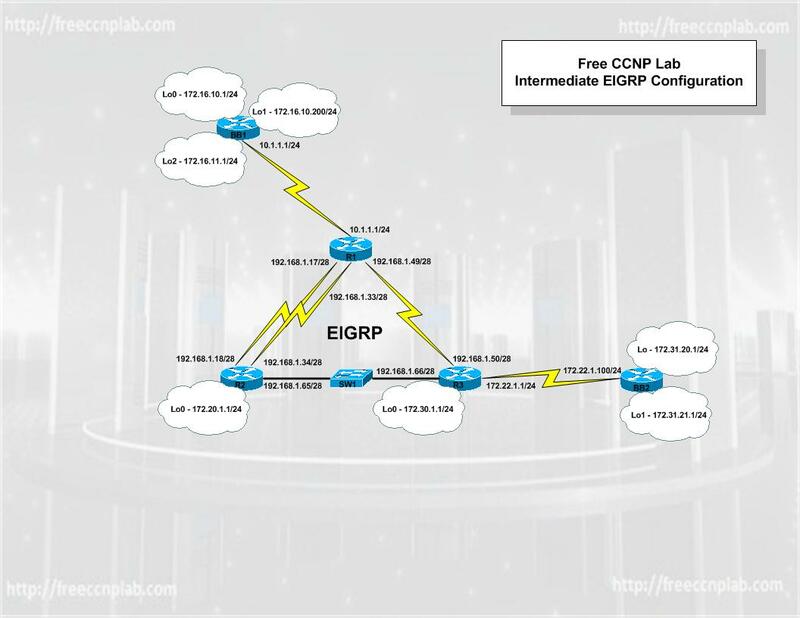 This lab scenario covers basic EIGRP; you will configure the EIGRP routing process over 5 routers using Ethernet and Serial links. You will also use various commands to verify the configuration and check connectivity. This lab scenario has been created as a Cisco as a GNS3 Lab but can be completed using Cisco Packet Tracer or real hardware. is a Cisco proprietary routing protocol loosely based on their original IGRP. EIGRP is an advanced distance-vector routing protocol, with optimizations to minimize both the routing instability incurred after topology changes, as well as the use of bandwidth and processing power in the router. Routers that support EIGRP will automatically redistribute route information to IGRP neighbors by converting the 32 bit EIGRP metric to the 24 bit IGRP metric. Most of the routing optimizations are based on the Diffusing Update Algorithm (DUAL) work from SRI, which guarantees loop-free operation and provides a mechanism for fast convergence.